wiwivision 2016 - Vote now in the grand final! Turn-up the wind-machines. Fetch the glitter. Sound the trumpets and blast some “Te Deum”. Let the wiwivision 2016 grand final commence! Almost two weeks ago we started with 42 entries. The country list was the same as at Eurovision 2016, but the acts and songs were chosen by the wiwibloggs team. These were then whittled down to 26 over the course of two semi-finals. However, there can only be one winner and the time has come for us to choose ours! The victor will be determined by a 50/50 split between readers and the Wiwi Jury. For more details on the voting rules and song selection criteria, click HERE. You can listen to all 26 finalists below. This isn’t a TV show, so we’ve decided to move away from the producer-led running order favoured by the EBU. The draw is completely random. Obviously, y’all can ignore it and pick and choose who you want to hear first. It’s up to you! Once you’re ready, vote in our poll. wiwivision history: France finished 23rd in the 2015 final. They were represented by Shy’m with “La Malice”. wiwivision history: Ukraine are debuting at wiwivision 2016.
wiwivision history: GJan also sang for Lithuania in 2015. Despite topping the combined vote in the second semi-final, she missed out on a top ten spot in the final. “Nobody Around” placed 11th. wiwivision history: Spain finished 21st in the 2015 final. Xoel Lópes sang “A Serea E O Marineiro”. wiwivision history: Latvia finished 26th out of 27 countries in the wiwivision 2015 final. They were represented by Rassell & Edvards Grieze with “Fire Inside”. wiwivision history: Croatia are debuting at wiwivision 2016.
wiwivision history: Along with Switzerland, Belgium topped the grand final jury vote in 2015. However, Selah Sue and “Alone” slipped to fourth after the televote. wiwivision history: Malta finished 24th in the 2015 grand final. The island nation was represented by Red Electrick featuring MPO with “Young Again”. wiwivision history: Olly Murs secured fifth place for the UK in the inaugural wiwivision. He performed his Travie McCoy collaboration “Wrapped Up”. wiwivision history: In 2015, the island nation was represented by the British singer of Greek-Cypriot descent Tulisa. She placed 15th in the grand final with “Living Without You”. wiwivision history: Ireland won the inaugural wiwivision with Markus Feehily and “Love Is A Drug”. He only managed to finish ninth with the juries, but a massive televote pushed him to victory. wiwivision history: German DJ Robin Schulz was assisted by the British singer Jasmine Thompson at wiwivision 2015. Their collaboration “Sun Goes Down” placed 19th in the grand final. wiwivision history: Zara Larsson first represented Sweden in 2015 with “Weak Heart”, coming ninth in the grand final. She has since gone on to become a global superstar. 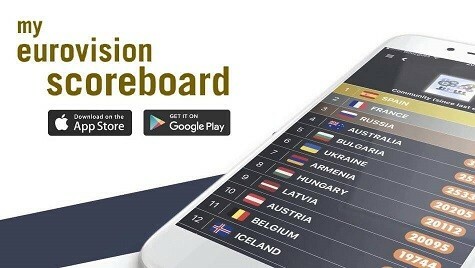 wiwivision history: Italy finished last in the wiwivision 2015 final. They were represented by The Kolors with “Everytime”. wiwivision history: Michal Szpak sang “Real Hero” for Poland at wiwivision 2015. He came 13th in the grand final and later went on to represent Poland at Eurovision 2016.
wiwivision history: The Czech Republic just missed out on qualification in 2015. Lukas Landa finished 11th in the second semi-final with “This Is This”. wiwivision history: Norwegian DJ Kygo joined forces with American singer Parson James to represent Norway at wiwivision 2015. “Stole The Show” finished 14th in the grand final. wiwivision history: Dami Im sang “Gladiator” for Australia at wiwivision 2015, finishing second in the grand final. She went on to represent the country at Eurovision 2016 with “Sound Of Silence”. wiwivision history: Kensington and “Riddles” earned 10th place for the Netherlands in the 2015 grand final. wiwivision history: Qualification eluded Russia by the narrowest of margins in 2015. Nargiz Zakirova placed 11th in semi-final one with “Ya Ne Tvoya”. She was just nine points off making the grand final. wiwivision history: Armenia are through to their first wiwivision final. Last year, they finished last in semi-final one with Christine Pepelyan and “Anavart Trichq”. wiwivision history: Medina represented Denmark in 2015 with “Giv Slip”. She came 22nd in the grand final. wiwivision history: Albania are through to their first wiwivision final. Enca placed 14th in last year’s first semi-final with “Play My Game”. wiwivision history: Bosnia & Herzegovina are debuting at wiwivision 2016.
wiwivision history: Austro-Icelandic singer Thorsteinn Einarsson represented the Eurovision 2014 winners in 2015. He came 17th with “Leya”. wiwivision history: In 2015, the country was represented by Miriam Bryant with “Dragon”. The Swedish singer of Finnish descent placed seventh in the grand final. Croatia, Armenia and Bosnia & Herzegovina are not available. You can vote for as many entries as you like, but you can only vote ONE time. Be sure to check the box next to every entry you want to support before submitting your votes. Voting ends on Saturday 2 July and the results will be announced a week later on 9 July. Voting is now closed! Results show scheduled for Saturday 9 July! Of course, y’all can do more than just vote. We have a comment box for a reason – what do you think of the finalists? Would you have chosen differently? Who are your favourites? Let us know! In case you’ve missed all the wiwivision fun so far — who are you?! — here are some all important links to get you up to speed. FOLLOW ALL THE WIWIVISION 2016 ACTION. Should Lviv host Eurovision 2017? Our readers say YES! Poll: Which Melodifestivalen 2016 songs are you still listening to? Sam Rothstein who is the owner of a Las Vegas casino. 000 movies for offline enjoying across all units. Treating despair and anxiety may additionally embrace a combination of drug therapies. Pure Vitamin E is a real gift of nature, particularly in the case of skin care! I really hope Lithuania wins because Gjan’s song is amazing, but I will be happy with any of these 10 countries getting the win! hey guys! when are yall going to check the applications? As usual, I’m late for the party, but I had my results prepared 2 weeks ago. When are the results being released and how are they going to be released? Vote for her She is so Lovely and talented. Vote for her She is so Lovely. William, why did you select Elka to represent Ukraine? There are much stronger songs. If i had connection to the Internet when people select songs for their countries, i would select Onuka’s song – “Vidlik”. Also “??? ?” (Sky) by ???? ? ????? (One in canoe) would be perfect, too. I wish Australia, Denmark and Albania were in TOP3 and it doesn’t matter who would win. 8 points Denmark Unique Realness!!!!! 4 points The Netherlands Eva Simons! 3 points Norway Amazing Song !!!!!!!! 2 points Lithuania Lo<3e Gjan! 11. Latvia So dark and mysterious. I like it! My favorite from SF1 was Spain. My favorite from SF2 were Norway and Belgium. I would be OK with Russia, France, Czech, Germany, Latvia, or Ukraine winning. I hope Ireland does not make the top 10. I did not like their song. “Real love” is older than “Kicks”, so “Real love” is the original. I also like Czechia, but his voice is a bit annoying. It is so funny that UK is right after Malta, their entries are both quite similar, maybe the one last released is a copy of the other entry. I would like to see anyone in my top 11, but I am fine with anyone except Ukraine, Lithuania (her last entry was much better), Spain and Norway. I still don’t understand why Ukraine is represented as a Russian singer Elka. She is considered as Russian one and based on Russia. So, we have two songs of Russia in wiwivision 2016. It’s funny. Australia – Delta Goodrem for next Eurovision!!!. Finland’s is so anthemic, has a great rhythm, deserves the winning spot, followed by Albania, Sweden and Australlia. I meant to say stronger not stoner!! in the last comment! I chose Latvia from a very tough, eclectic, modern and exciting group of fresh hits because the song is completely film noir and quirky! Norway ( where I come from) has a good voting history with Latvia. Russia had the funniest video and Denmark the coolest with special effects. Fantastic work in finding these artists! Strong women with stroner messages this year..e.g. Poland, the Netherlands, Malta and UK .. they make Serbia’s ESC 2016 song look tame! Great, eclectic and modern selection of songs! I didn’t vote for my own country ( Norway) .. just being ESC fair! I’ve noticed many of the female artists have many strong things to say.. e.g. Poland, Malta, the Netherlands and UK.. They are even more pissed off than Serbia’s ESC 2016 sang! Russia had the funniest video of all! For future Wiwivisions, I think it would be helpful to have some sort of recap so we can go through the songs quickly to decide who we want to vote for. This would be my Top 10; it is not a prediction as predicting a Wiwi Poll would be foolish, given how readers have voted in the past!! My idea of the winner would be either Norway or Albania or Malta. I like Australia , Spain , But my favourite is France.